La Perouse Museum to receive new lease on life - Randwick City Council A new program of exhibitions and events planned for the La Perouse Museum will expand the current collection and develop new opportunities for public and school workshops as well as events, Randwick Mayor Lindsay Shurey announced today. A new program of exhibitions and events planned for the La Perouse Museum will expand the current collection and develop new opportunities for public and school workshops as well as events, Randwick Mayor Lindsay Shurey announced today. 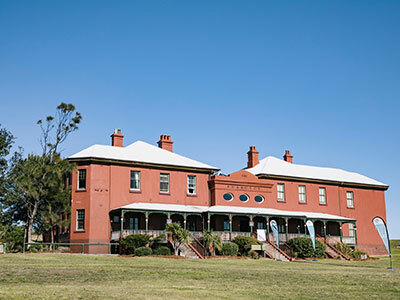 “The La Perouse Museum is one of our key cultural venues and has the capacity to become a major tourist attraction,” said Randwick Mayor Lindsay Shurey. New activities planned for the Museum include exhibitions that showcase the artistic depths and traditions of the La Perouse artists, ranging from shell art to multimedia work. A photographic exhibition documenting the changing face of La Perouse during the 20th and 21st century will source images not just from historical archives but potentially from residents of La Perouse as well as those with ties to the area. Likewise, an exhibition of Objets Français will include items of historical significance sourced in conjunction with the Friends of La Perouse. One-day events and workshops for schools and the general public will offer experiences such as basket weaving workshops, historical tours and a courtyard opera performance. Council will also join with the University of New South Wales to apply for an Australian Research Council grant to fund site-specific projects that will use wind, water and solar to explore the themes of the Museum and Headland.